Few states around the world are more dependent upon healthy and spatially concentrated natural environment resources for socioeconomic development than are the Pacific Island countries. Integrated approaches to land, water, forest, biodiversity and coastal resource management could contribute to poverty reduction, sustainable livelihoods and climate resilience. Fiji’s efforts to protect and invest in its natural environment received a boost this week with the announcement of the country’s first national Ridge to Reef (R2R) project. 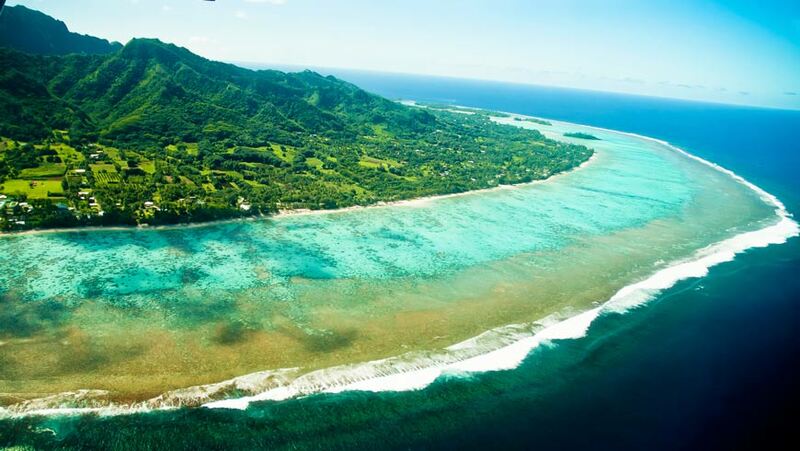 The project is part of the 14 Pacific Islands Countries Ridge to Reef (R2R) program, and is supported by a grant of $7.4 million from the Global Environment Facility (GEF). It aims to preserve biodiversity and ecosystem services, sequester carbon, improve climate resilience and sustain livelihoods through a ridge-to-reef management of priority water catchments on the two main islands of Fiji. “This project’s approach is addressing key environmental issues in an integrated manner and will bolster Fiji’s national system of marine protected areas through an enhanced, representative and sustainable system of Locally Managed Marine Areas, including greater protection of threatened marine species,” said Mr. Mr. Joshua Wycliffe, Permanent Secretary in the Ministry of Local Government, Housing, and Environment at the project’s launch in Nadi this week. The Ridge to Reef Program, implemented by the United Nations Development Program (UNDP), has the goal to maintain and enhance Pacific Island countries’ ecosystem goods and services through integrated approaches to land, water, forest, biodiversity and coastal resource management that contribute to poverty reduction, sustainable livelihoods and climate resilience. Small Island Developing States (SIDS) are especially vulnerable to the impacts of climate change, including extreme weather events and sea-level rise, as they are often geographically isolated, are located in regions prone to natural disasters, have high population densities and limited natural resources. Few states around the world are more dependent upon healthy natural environment resources for socioeconomic development than the Pacific Island countries. The related regional project of the R2R program was also launched. This project is implemented by UNDP with a GEF grant of $11 million. It will coordinate collaboration and sharing of knowledge on the ridge to reef approach across 14 Pacific Islands Countries - Cook Islands, Fiji, Micronesia, Kiribati, Marshall Islands, Nauru, Niue, Papua New Guinea, Palau, Solomon Islands, Tonga, Tuvalu, Vanuatu, and Samoa. “The regional component complements the 14 national R2R projects to foster links between the on-going GEF-supported integrated water resources management initiative and this emerging R2R demonstration work on integrated coastal management and conservation of coastal wetlands,” said Nicole Glineur, GEF Ridge to Reef program manager. "It aims to do this while ensuring coordination, learning, and knowledge management among the national projects and development assistance partners." The launch of the projects in Fiji coincided with the GEF’s Expanded Constituency Workshop (ECW) for the Pacific Islands. These workshops are part of an ongoing capacity building effort for recipient countries implemented by the GEF Secretariat called the Country Support Programme. The ECWs bring together GEF focal points from each country in the region, national focal points from the main international environmental conventions, representatives from civil society, GEF Agencies, and the GEF Secretariat for a three-day interactive workshop. They provide participants with hands-on training on how to work with the GEF, and are also an opportunity for participants to meet with their counterparts from other countries in the region, and other GEF partners to exchange knowledge and lessons learned. Since it was established in 1991, the GEF has provided over $14 million to Fiji for projects relating to biodiversity conservation, land degradation, climate change and persistent organic pollutants mostly implemented by UNDP with the Department of Environment as the executing agency. On the occasion of the GEF 25th Anniversary, Fiji looked back at some of the achievements over more than two decades of partnership.